I am back again, with another travelogue. 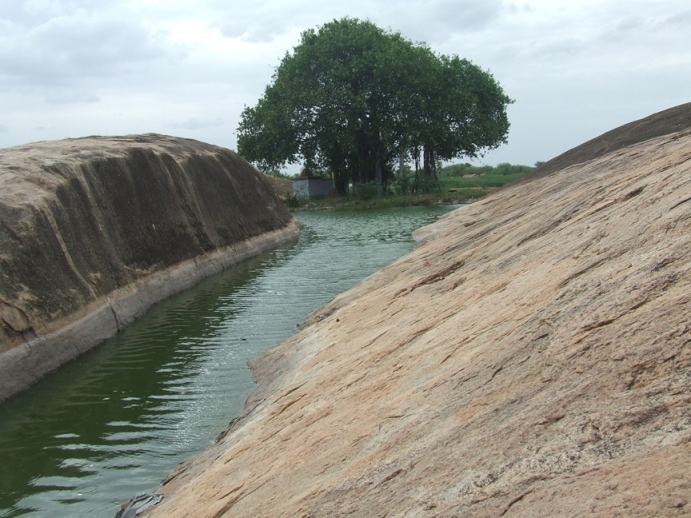 This time my vicinity of research is Kundrandarkoil, another village on the northern blocks of Pudukkottai district. 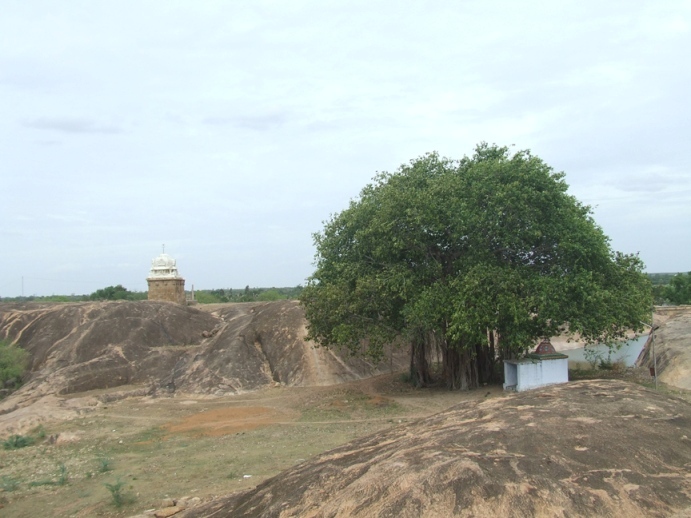 The village is noted for its millennium old monument, a cave temple that belongs to Pallava period. This rock-cut temple is unique on many of its architectural features and styles. 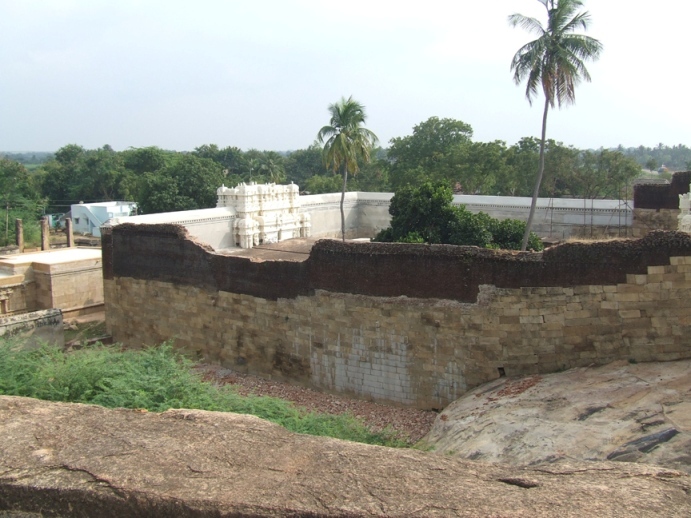 This ancient monument is under the control of Archaeological Survey of India. Dear readers, this travelogue on Kundrandarkoil is presented as a series due to its complexity of nature and it will be a real virtual tour on an age old monument. 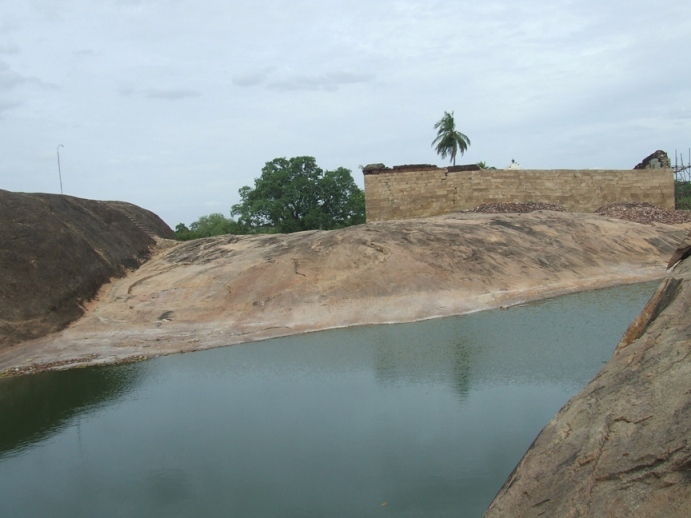 Kundrandarkoil is a small hamlet of Kulathur taluk in Pudukkottai Dt. 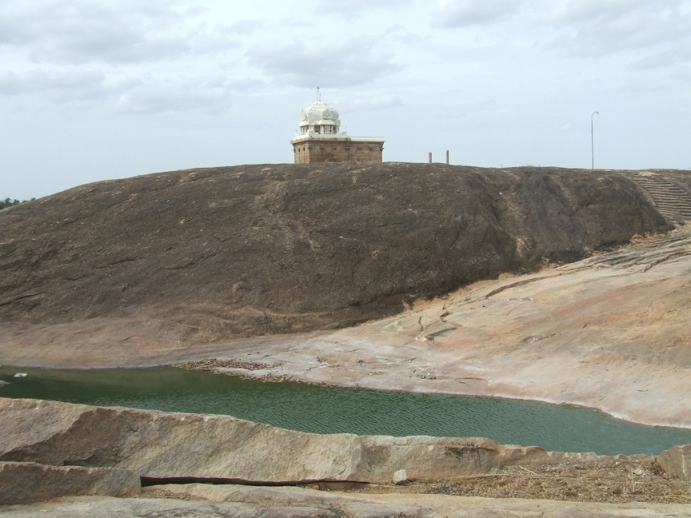 It is nearly 45 kms from Tiruchirappalli. One can reach Kundrandarkoil by traveling to Keeranur and from there taking diversion in Athanakottai Road. 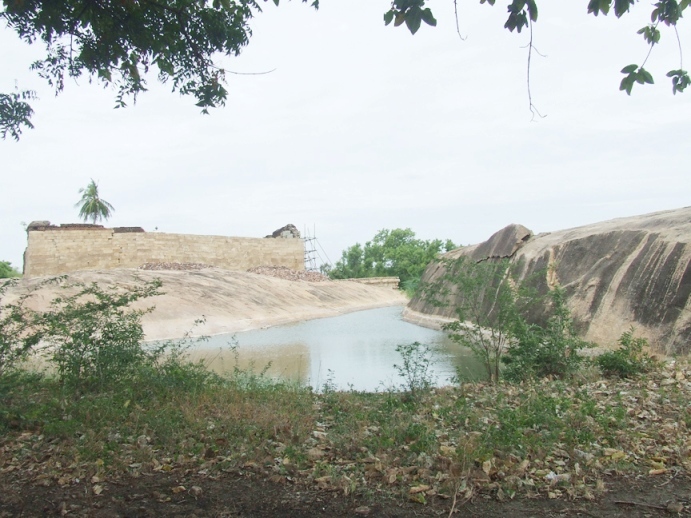 It is about 35 kms from Pudukkottai in Pudukkottai-Andakulam-Killukkottai route. Sengipatti and Kantharvakottai are the nearby hubs of Kundrandarkoil. Transport facility to Kundrandarkoil is frequent from Keeranur as well as from Pudukkottai. As like Malayadipatti the roads are not fair for commutation. Dear readers, as it is a virtual tour, imagine a village, for example as depicted in Tamil movies, especially of Bharatiraja style (and accompany your imagination with his opening dialogue). Likewise Kundrandarkoil is also arid, dry and eye-treating tranquility is lacking. Scattered trees, thorny shrubs, muddy roads expose its barrenness. The dwellings mostly consist of thatched and few pucca houses encompass the village. Surrounding the village are the arid fields, longing for the monsoon rain. Water necessity is also meted out from tarns and underground resources. Hence the cultivation is mostly of cash crops like cane sugar, cotton, sunflower etc. Among which cane sugar is prominent. It adds serenity deficiency to the locale. The only interesting feature of this village is the rocky hillocks. In the heart of the village a chain of rocky mountain and two other separate big boulders are found. The chain hillock spreads on a vast area with sloppy edges in some places and in some places it raises to a huge height as a cliff. One can climb it easily through the sloppy edges and reach the summit of these hillocks. The temple complex is in and around the chain hillock. The two big rocky boulders are to the west of the chain hillock. To the north west of the main hillock on it sloppy edges, is a narrow puddle. Near the puddle, that is, in between these three rocky hillocks is a big banyan tree spreading its shade to a vast area. A small temple of later origin is also seen under its shade. In and around the rocky hillocks water stagnates are found which adds serenity to the place. The cave temple is excavated on the eastern side of the main hillock. 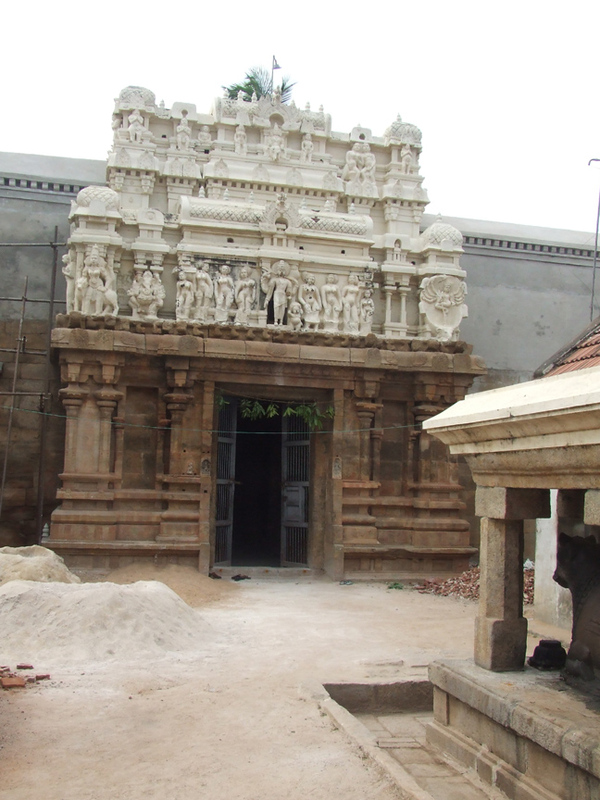 This rock cut temple called Parvatagirisvara houses the deity Thirukundrakudi Madevar and the goddess Sri Umayambigai. 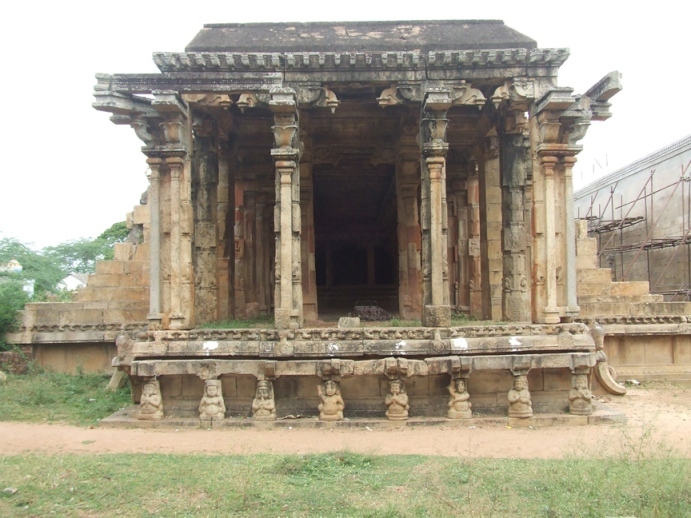 This temple consists of an outer prakara, inner prakara and the main cave with a pillared mandapa in the front constituting a big complex. 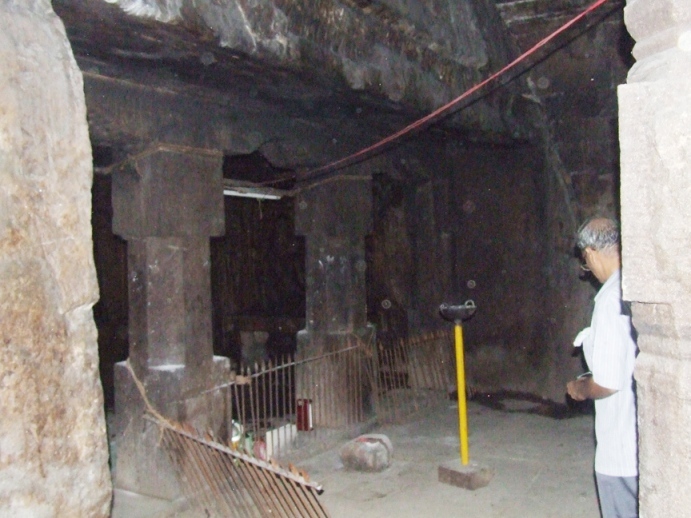 The rock cut cave forms the nucleus around which many later additions were made in the subsequent eras, which forms the temple as a multifaceted complex. This rock-cut temple has many interesting and mysterious features around it. An absurd thing to note is the futile attempt of caves found on either side of the main cave. The reason for its unsuccessfulness is puzzling. 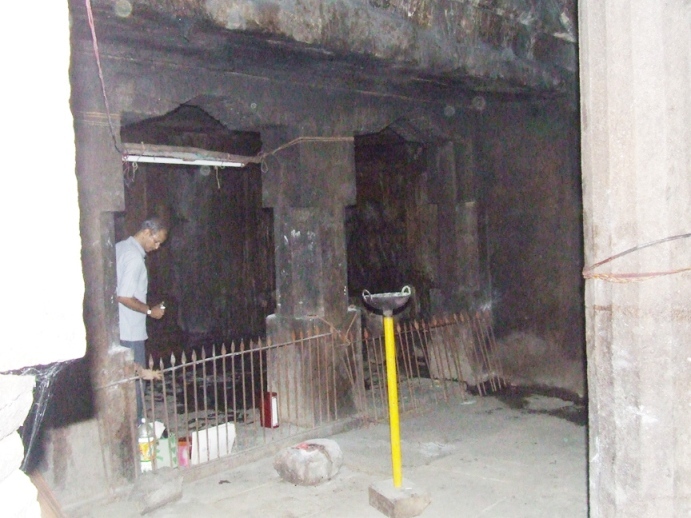 The noteworthy feature of this cave temple is the Nirtamandapa found on the southern side of the outer prakara. 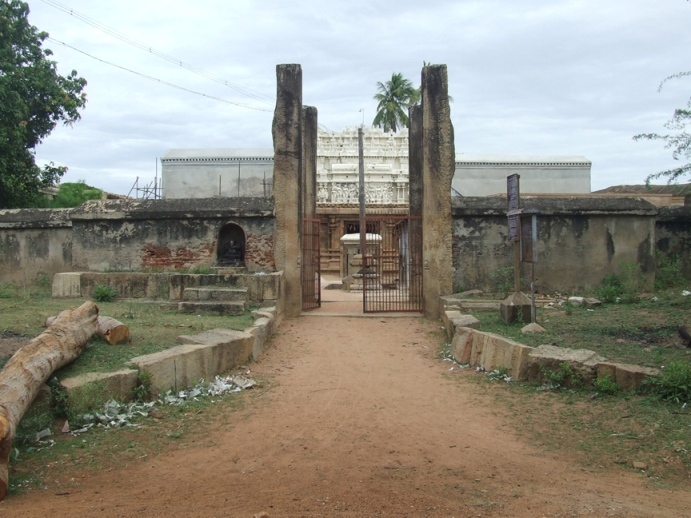 It is the only existing specimen for theater architecture as described in Silappathikaram. It is a huge hall with variety of interesting architectural features which picturize our ancestors' proficiency and expertise both in theater architecture and art. 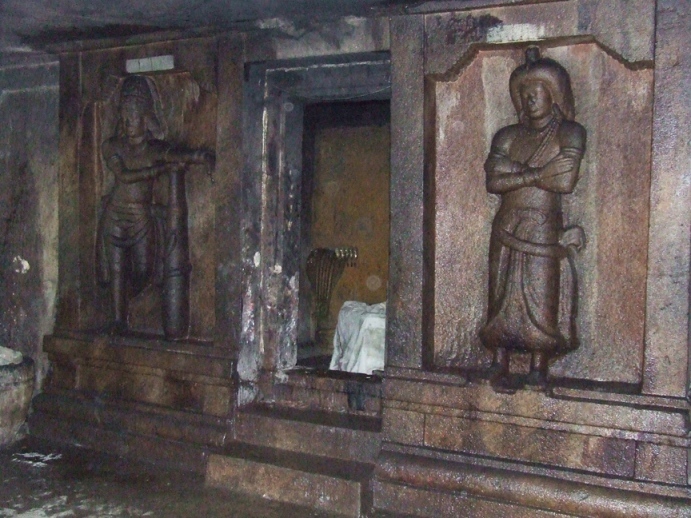 The inscriptions mention the village as Thirukundrakudi and the earliest known inscription of this rock cut temple belong to Nandivarman III. Though the architectural features and the paleography depict the cave to Pallava period, the authenticity of the cave is anonymous. This small introduction on Kundrandarkoil will help you to be on the right track of the journey. 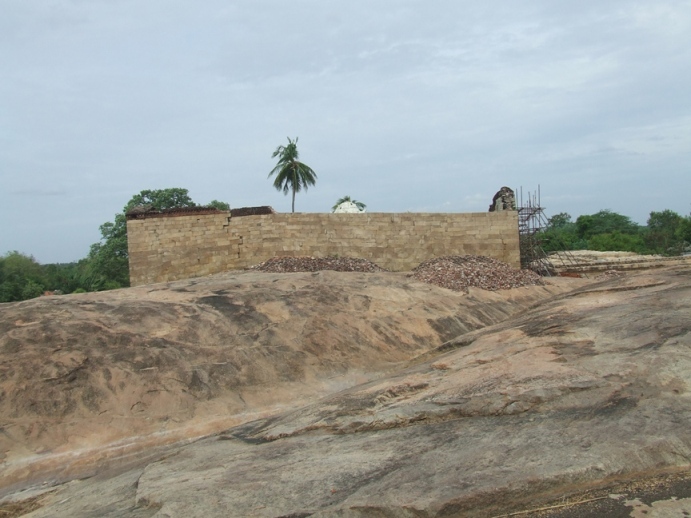 In the forthcoming tour sessions we will see the interesting and mysterious features of Kundrandarkoil.